At Lafata Auto Body, you will receive the finest quality of customer service. We provide a variety of services of collision repair. We pride ourselves in educating the customer about the collision industry. We want you to understand the repair process to ensure quality customer service. Please feel free to ask any questions you may have about your vehicle repair. Auto Body Repair Services, Collision and Painting Whether you were involved in a major collision or a minor fender bender, we offer a variety of auto body repair services to meet your needs. 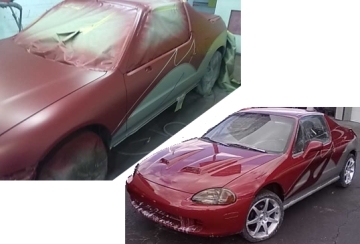 In addition to collision repair, we provide custom painting services to decorate your car. Custom Painting Our technicians provide custom painting services to match your vehicle's paint color. With a showroom shine, we make your car look better than it did before the accident with the highest quality paint available on the market. 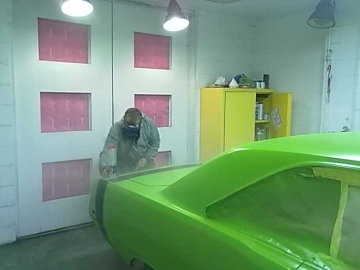 Paint Booth Rental Call us for Paint Booth Rental rates and paint your own vehicle with professional equipment. 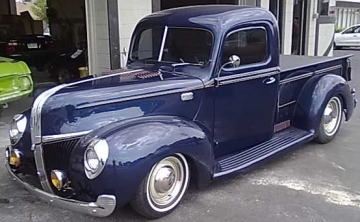 Complete Automotive Refinishing Our expert technicians provide a complete automotive refinishing service that will return rusted, damaged, and non-working vehicles to their original condition. 24 Hour Towing Contact us for 24 Hour Towing services and have your vehicle towed to our shop. Free Estimates Lafata Auto Body would be happy to provide you with a free estimate. Stop by anytime during our business hours or call 586.744.1676 to schedule an appointment.